To improve wellbeing effectively policy and practice should be grounded and informed by good quality, appropriate evidence. This is particularly case now when resources are reducing and public service demand is rising. But there are barriers to the use of evidence, such as time, lack of confidence and missed opportunities to share evidence across borders and between. Our Evidence into Policy and Practice work explores how jurisdictions, sectors, people and professionals, can work together to produce and use evidence to promote better outcomes for citizens. 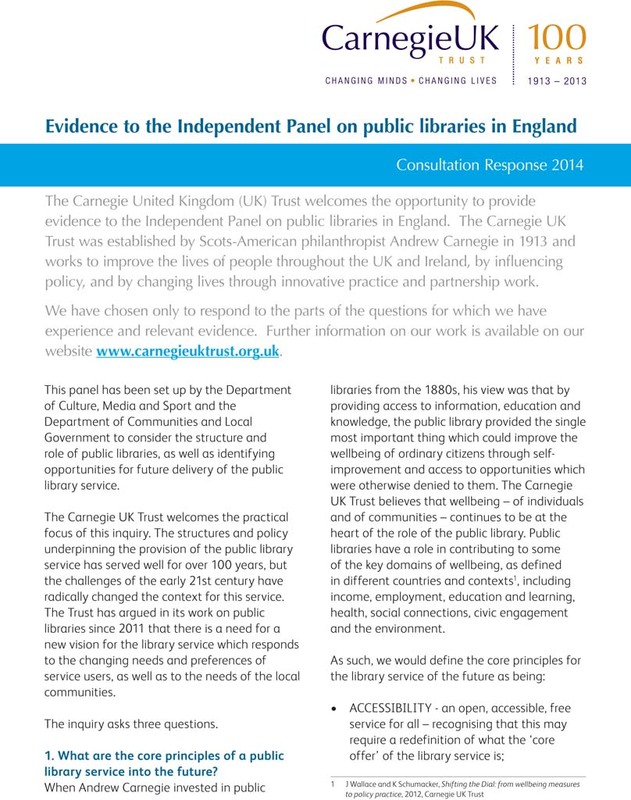 Our work began in 2013 with Evidence Exchange research conducted in partnership with the Joseph Rowntree Foundation and a partnership project with the Alliance for Useful Evidence. 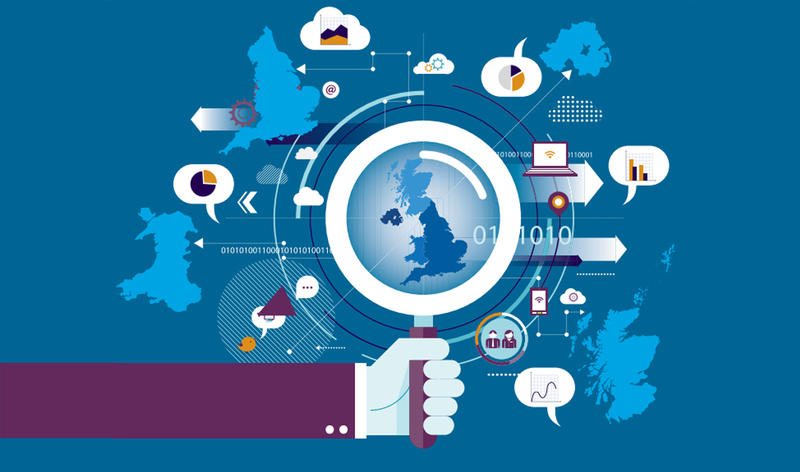 Over the winter 2017/18 re-ran our Evidence Exchange survey to assess what progress had been made in the sector. The findings were similar to those of the previous survey, that academic evidence is the most trusted source of evidence, but seldom used (a third of respondents used it). The survey also showed a real appetite for the co-production of evidence between universities and public, private or third sectors. 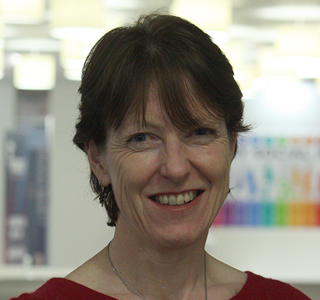 We are working with cross sectoral partners across the UK to increase the InterAction between academics and the third sector. In December 2017 we held a roundtable to discuss co-produced evidence and robust methodologies in Newcastle and we are continuing to work with the Institute for Social Renewal to develop the practice of co-producing evidence, including with businesses. 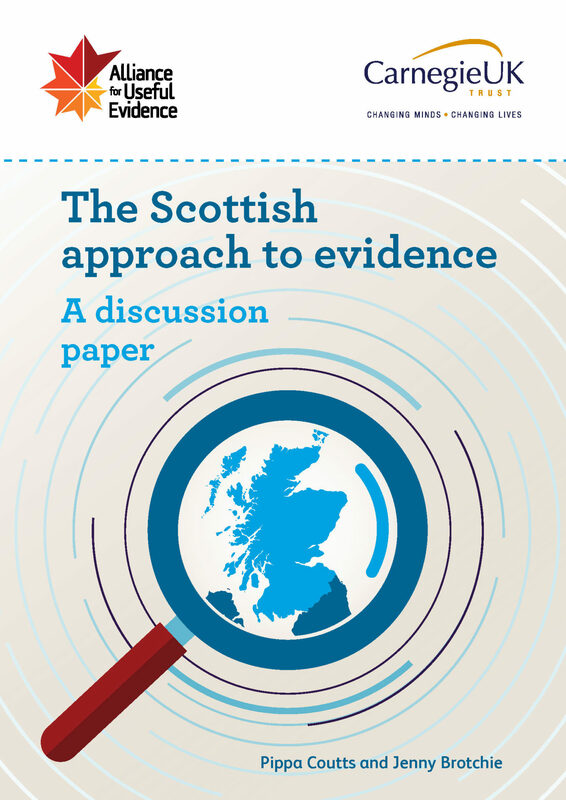 We led on work to consider the implications of the Scottish approach to policy for evidence production and use, and published the Scottish Approach to Evidence. Recently we have worked with the University of Edinburgh, City of Edinburgh Council, the third sector and primary care to develop a shared agenda, and Theory of Change for, a Collaboration on the Health of Homeless People. 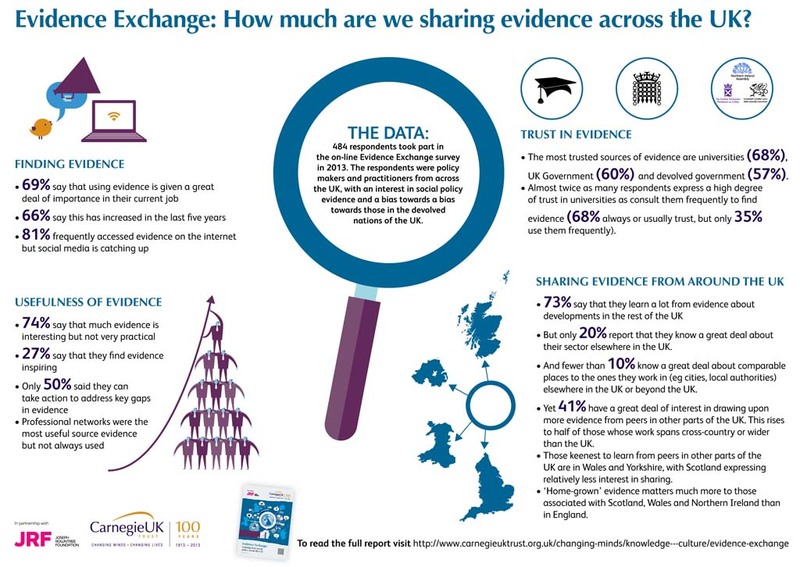 Evidence Exchange: How much are we sharing evidence across the UK?